Go ahead and finish the title of this article with the theme song to The Jeffersons. I know it’s already in your head. “Well we’re movin’ on up, to the east side. Movin’ on up to the east side. Took a whole lotta tryin’ just to get up that hill. Gettin’ our turn at bat. “Movin’ on up” was good for the Jefferson’s at the time but it looks like it is not so good for renters. Rents are movin’ on up—by a lot. Our biggest little city, Reno, experienced a 9.9% year-over-year increase between June 2017 and now. 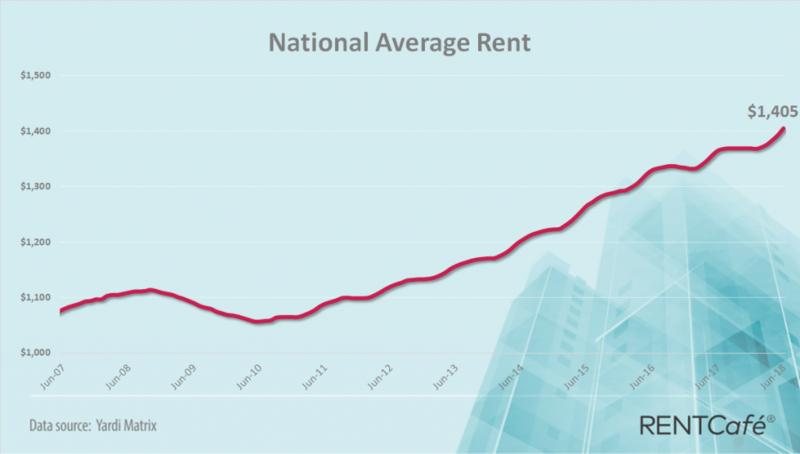 Rent prices have increased dramatically over the last decade. That’s big, but we have seen that and more in appreciation throughout the last five years. Rents will follow but they always lag home prices. It is the lack of supply, not housing prices, that drives rent to increase. But that will be changing because new projects are on the horizon, at least in Reno. For apartments alone, we can expect 10,000 new doors in the next couple years. It always cycles, but no one knows exactly how it will all play out. Check out the excerpt below from an article by RENTCafé, and click here to read more about the surge in rent across the country. 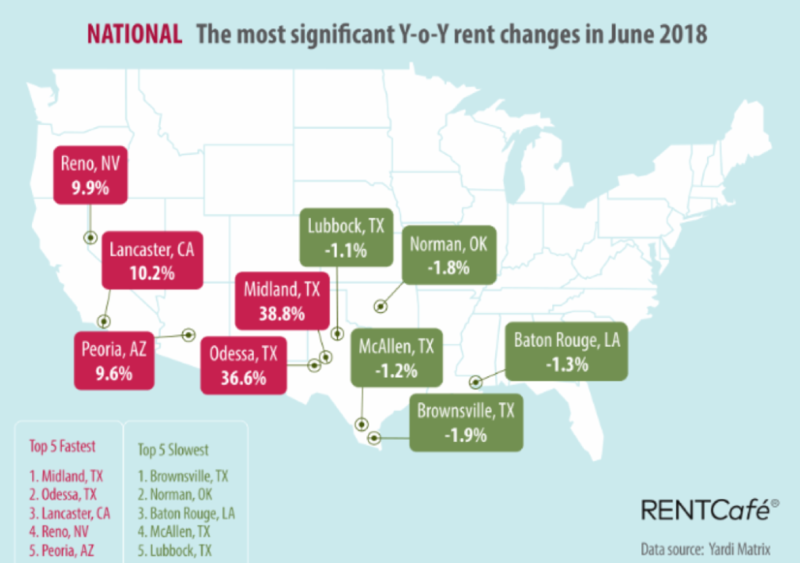 The thriving oil-industry hubs of the Permian Basin, Midland and Odessa have been leading the nation with rents growing at a spectacular rate since the last significant drop in oil prices. The latest data shows a 38.8% increase in Midland compared to June 2017, whereas Odessa rents have increased by 36.6% on average in the same period. Lancaster, CA enters the top 5, where rents have seen an alarming 10.2% growth rate over the past 12 months. The 9.9% rent increase in Reno, NV means The Biggest Little City in the World has maintained the its position from last month, when it had posted a 10.7% gain. The Phoenix suburb of Peoria, AZ climbs to 5th place, registering a 9.6% Y-o-Y increase in rents.